Just a quick note to say thanks for the support on my eBook “Rescuing Mr. Wright” this free promo week on Amazon. 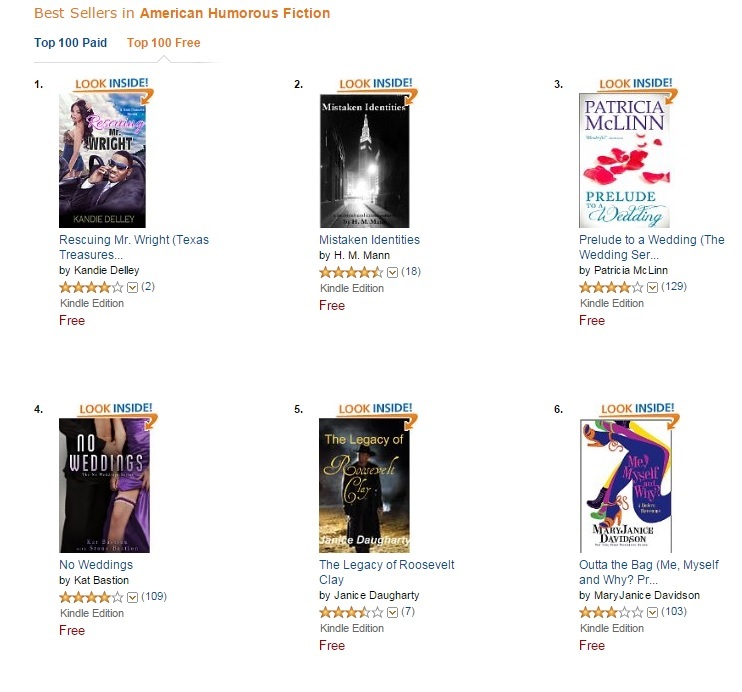 It placed in the top 100 for multiple categories, including finding its way to the #1 spot (see screenshot below). Today (3.27.15) is the last day of the promo, so don’t delay, download your free copy today. Besides…you’ll need the 411 when the next book in the series releases soon! Your support means a great deal to me, especially in this “sea” of digital publishing and social media marketing. Can’t be done w/out you. So thanks! Have a great weekend! Download “Rescuing Mr .Wright” today!